January 2017 marked the return of the smash hit Diesel Brothers for a second season, and BendPak is proud to partner up with them once again. 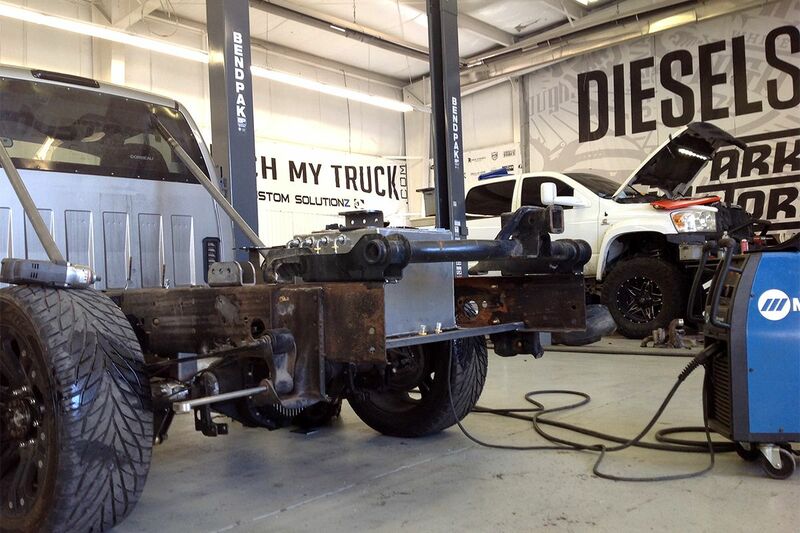 They needed a car lift, and they came straight to us. On top of that, Discovery’s “Motor Mondays” run of car shows has already heavily featured BendPak lifts. Why? Because the best in the business aren’t taking chances when it comes to safety, performance and reliability. With more than 2 million viewers per episode, it’s little wonder that they would be so concerned with who manufactures their equipment. 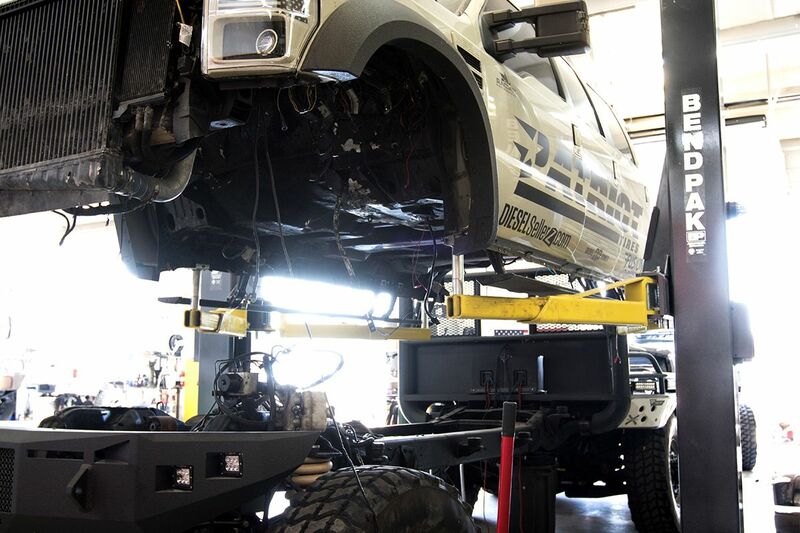 Automotive lift operators, whether they’re on TV or in a home garage like yours, don’t care to spend all day worrying about whether their auto lift is going to work. Imagine watching a show like Diesel Brothers and seeing a segment where a time-sensitive project is delayed due to mechanical/technical issues with the lift. Not gonna happen with BendPak, or we wouldn’t be putting ourselves out there on prime-time national television. 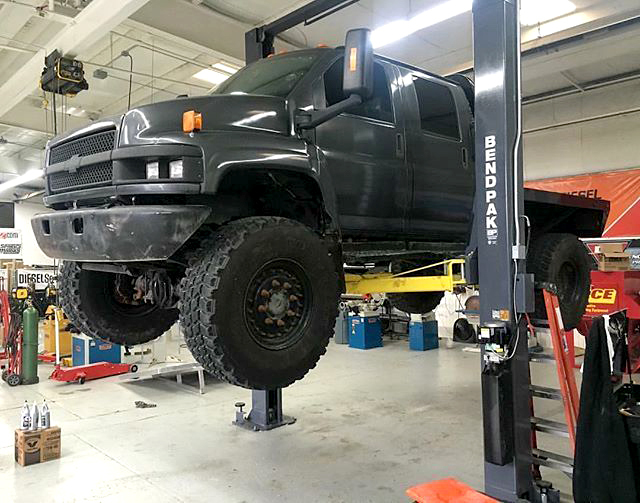 In fact, while BendPak plays a crucial behind-the-scenes role on the show, having outfitted Diesel Dave and Heavy D with a two-post car lift in our new Gunmetal Gray finish, we know you’re not tuning in to simply see BendPak in action. We’re huge fans of the show, which is why we’re proud to announce this partnership, and we can’t wait to see which celebrities pop in this coming season. The latest season opened with a bang, as Marshawn Lynch and famed actor/martial arts master Chuck Norris made appearances, and both of men were entertaining in their own ways. In case you can't tell, we’re huge fans of the show.